Long time retro beauty salon in the ever so popular Excelsior District. Over 40 years in business and 20 years at this location. 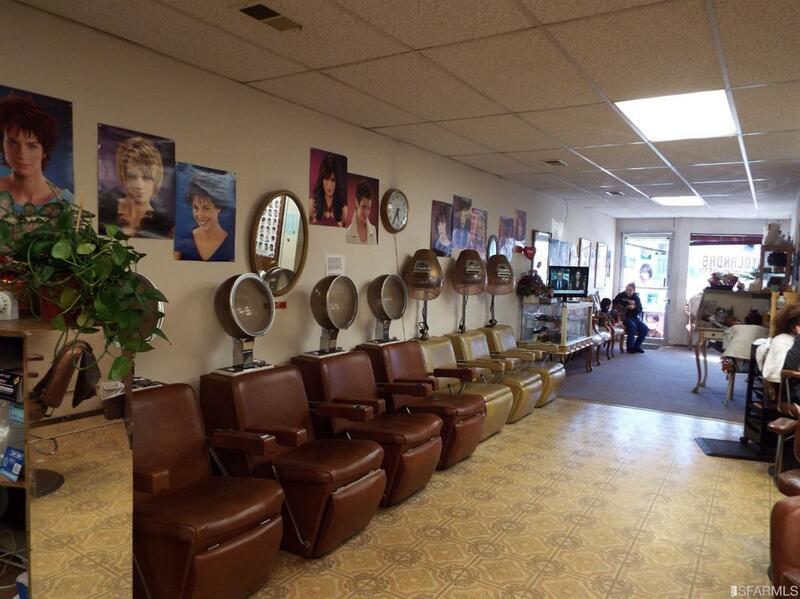 Very spacious 1800 square feet, three sinks in front salon with all full working retro dryers, Five styling stations with built in storage lockers and private phone lines, separate kitchen, small second salon with one station, 3 dryers, and washing sink, washer and dryer on site and back entrance exit. This has so much potential to be a great salon with space and rooms to have a full service day spa or create a popular authentic retro salon! Private rest rom and secret one way mirror window from kitchen looking into main salon, very unique! Great location, lots of foot traffic, close to transportation, freeway, shopping and restaurants. Ample street parking and fabulous lease price and options. Unbeatable!